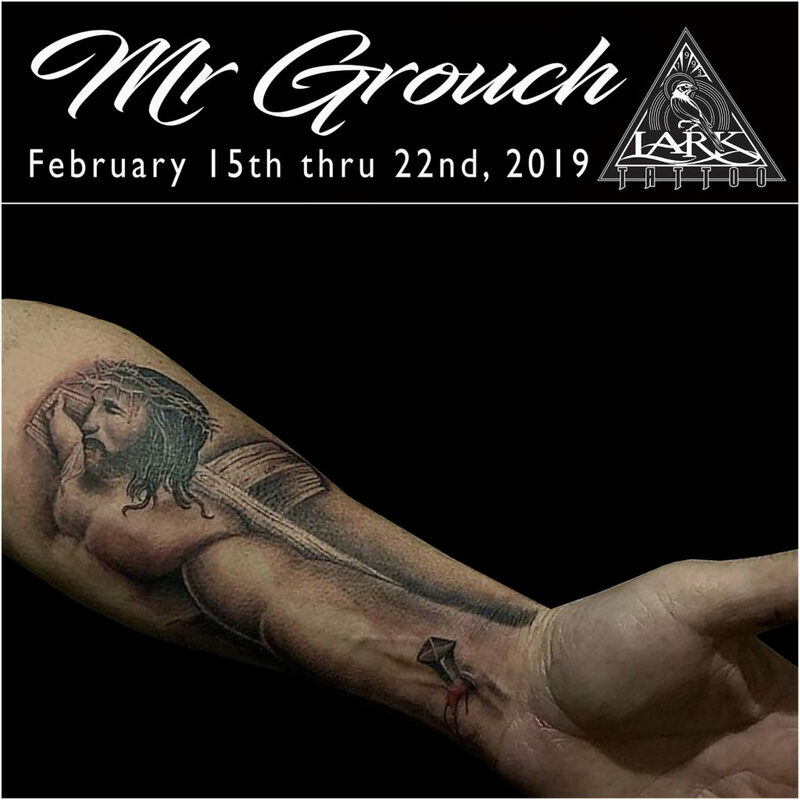 Mr Grouch RETURNS for a guest spot 2/15/19-2/22/19. His January stay with us filled up so quickly, we wanted to get him back ASAP to give those a chance to book with him who missed out when his spots ran out previously. Don’t miss this chance, again! Take advantage of this Cali native being on the East Coast at Lark Tattoo! Call 516-794-5844 or email us for details.